Research firm Wealth-X defines ultra high net worth (UHNW) individuals as those worth $30 million or more. And according to its latest report, more of these super rich people live in the United States than anywhere else in the world. The population of ultra wealthy Americans stood at 79,595 in 2017, Wealth-X reports. That's more than the combined total of the next five largest UHNW countries — Japan, China, Germany, Canada and France — and the U.S. now accounts for 31 percent of the world's UHNW population. 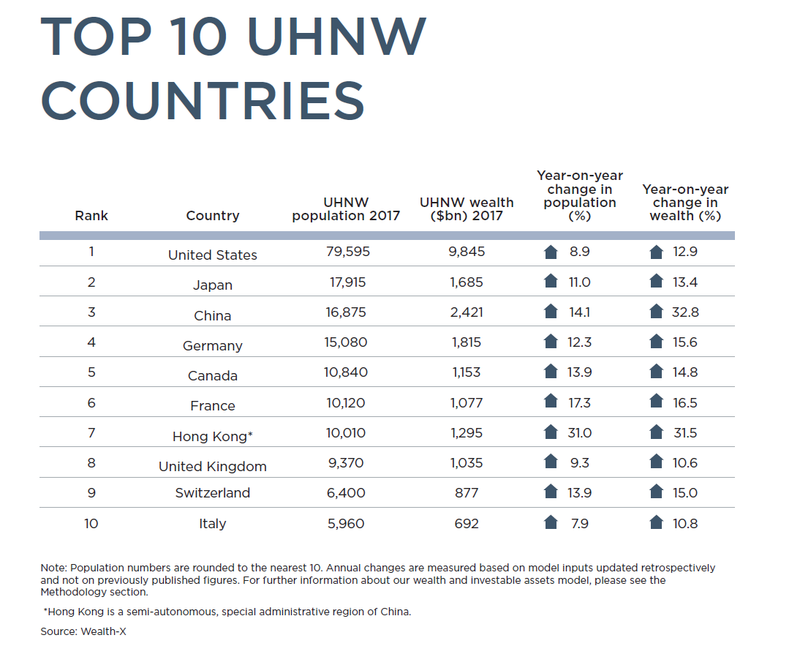 Global wealth-creation is quickly moving to Asia from the U.S., though, Wealth-X notes, and the U.S. actually "recorded the weakest growth in its ultra wealthy population and net worth among the top seven countries." 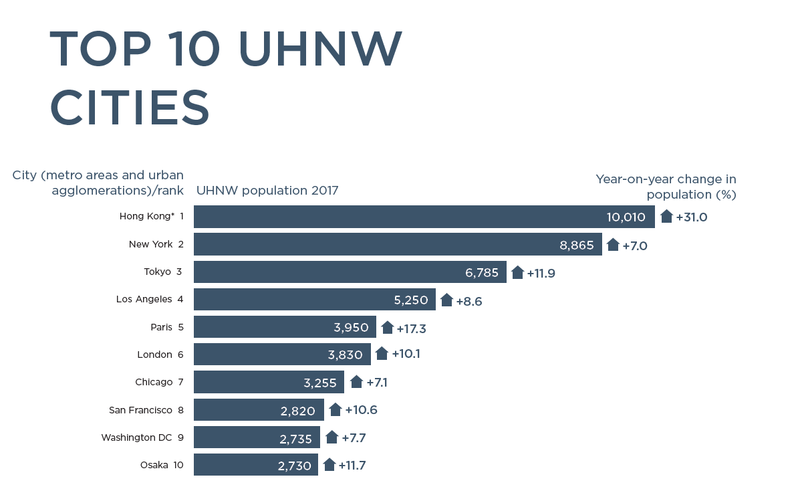 The U.S. also accounts for five of the top 10 UHNW cities, including New York, which is the world's second-richest city with 8,865 residents worth $30 million or more. The world's richest city is Hong Kong, which hosts more than 10,000 UHNW individuals.